Alpenrose Dairy gears up for 50th anniversary of the Velodrome. 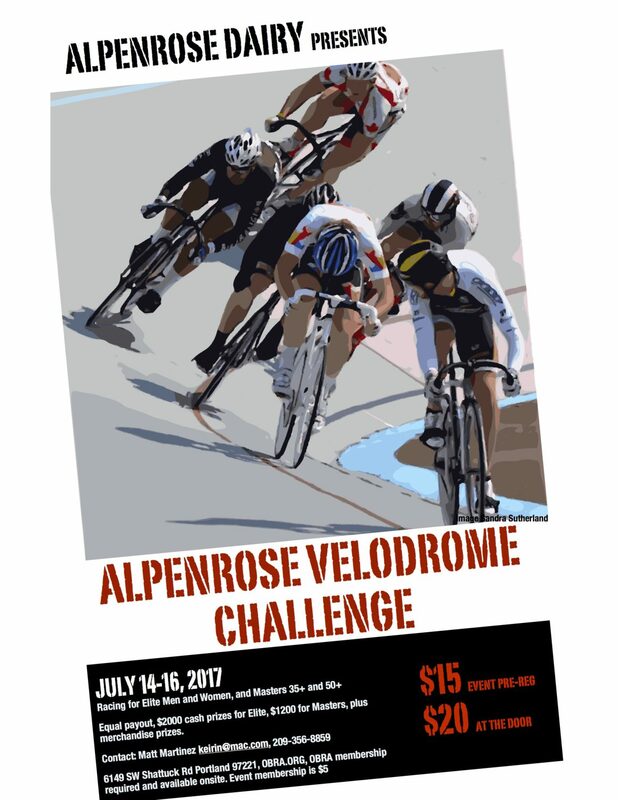 Portland, OR, June 19, 2017	(Newswire.com) - Alpenrose Dairy, a leading producer of dairy products in the Northwest, is gearing up to host their 20th annual Velodrome Challenge July 14-16. This elite three-day competition draws cyclists from around the world and the largest Velodrome crowd in North America annually. Competitive track cyclists, national and international athletes, Olympians and the best local riders will all be competing for track records and cash prizes up to $2,000. The Alpenrose Velodrome Challenge is a one of a kind spectator event, unique for its caliber of competitors, type of venue and challenging course. First built in 1962, the bike track was once made out of dirt and was upgraded to concrete in 1965, in preparation for the 1967 ABL National Championships. Known for its distinctive shape, the Alpenrose Velodrome is one of only 25 bicycle racing tracks in the nation and is among the most demanding due to its shape and incline. With corners positioned at a 43-degree angle, racers must maintain a constant speed of 12.5 miles per hour in order to remain upright on the track. In addition to being one of the steepest banked tracks in the nation, the track is also unique because it is made of concrete, while most others are wooden. Matt Martinez, Alpenrose Velodrome Challenge race organizer, encourages the public to come check it out. "You will get to enjoy some of the best track racing the West Coast has to offer. Something that goes this fast usually requires brakes, seat belts and airbags,” said Martinez. Races at the Alpenrose Velodrome Challenge range from five to forty minutes. 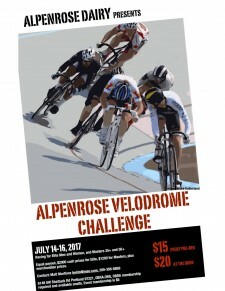 The Alpenrose Velodrome Challenge takes place on July 14,15,16 —this free three-day event will be a thrill for all spectators to see the raw talent of these athletes. Also, come enjoy great food and take advantage of the opportunity to shop for heavily discounted cycling attire. Alpenrose Dairy is located at 6149 Southwest Shattuck Road in Portland. For more information, visit: www.alpenrosechallenge.com. Alpenrose Dairy has been family owned and operated since 1916. For over 100 years, the Cadonau family has been committed to bringing customers the finest milk nature can provide. Alpenrose is committed to sustainable agriculture and bringing fresh, wholesome products to their customers. The Cadonau family is known throughout the Northwest for their commitment to the community. Providing year-round family-friendly activities at their legendary 52-acre campus with a stadium for little league games, a museum, opera house, and velodrome track.